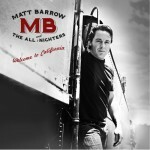 Matt Barrow And The All Nighters » BACK AT THE PIANO BAR!! Home » Events » BACK AT THE PIANO BAR!! BACK AT THE PIANO BAR!! We are back at our favorite spot in Hollywood were the music is always great with our buddies Noah Eng and Brother Sal!